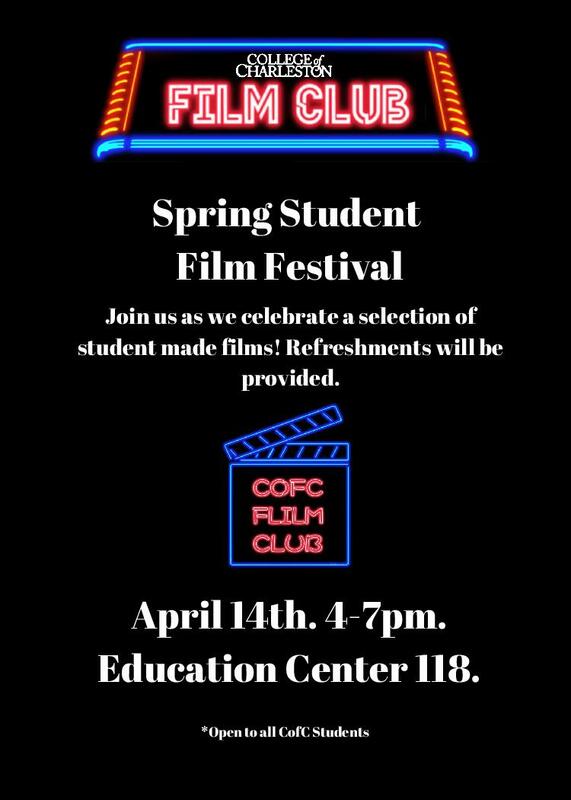 The CofC Film Club is hosting their annual Student Film Festival on Saturday, April 14, 4-7 p.m. ECTR 118. Join us for a screening of student-made shorts. Prizes will be given to the top three films!